25W Customer Preferred Package, HEMI V8, Sunroof, Blind Spot and Cross Path Detection, 9 Speaker System With Subwoofer! Our 1500's trim level is Rebel. This Ram Rebel is an off-road beast that’s as capable in the dirt as it is in the street. It comes with an aggressive appearance package, aluminum wheels, four-wheel drive, Bilstein off-road suspension, an electronic locking rear differential, Uconnect infotainment system with audio aux jack, 2 LCD front monitors, mobile hotspot internet access, air conditioning, a trip computer, a rear view camera with parking sensors, and more. 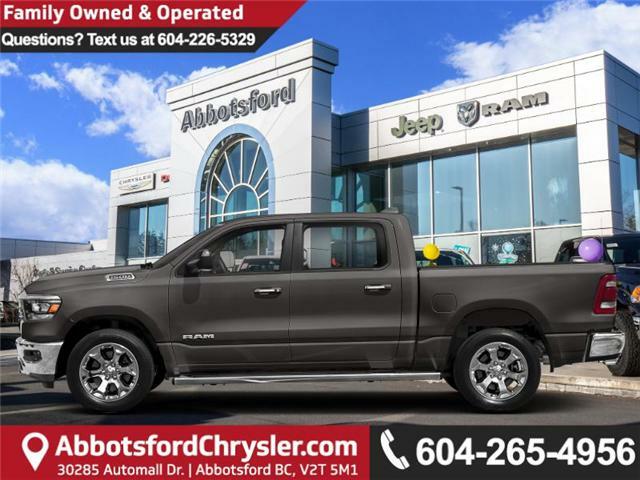 This vehicle has been upgraded with the following features: 25w Customer Preferred Package, Hemi V8, Sunroof, Blind Spot And Cross Path Detection, 9 Speaker System With Subwoofer, Air Suspension 4-corner, Cloth/vinyl Low-back Bucket Seats. View the original window sticker for this vehicle with this url http://www.chrysler.com/hostd/windowsticker/getWindowStickerPdf.do?vin=1C6SRFLT7KN767851. Buy this vehicle now for the lowest bi-weekly payment of $461.02 with $0 down for 96 months @ 4.29% APR O.A.C. ( taxes included, Plus applicable fees ). Incentives expire 2019-04-30. See dealer for details.